Here is a list of 20 Kenyan food favorites to help you get excited about eating Kenyan food! The undeniable most common Kenyan food staple is ugali – usually made from cornmeal that is added to boiling water and heated until it turns into a dense block of cornmeal paste. 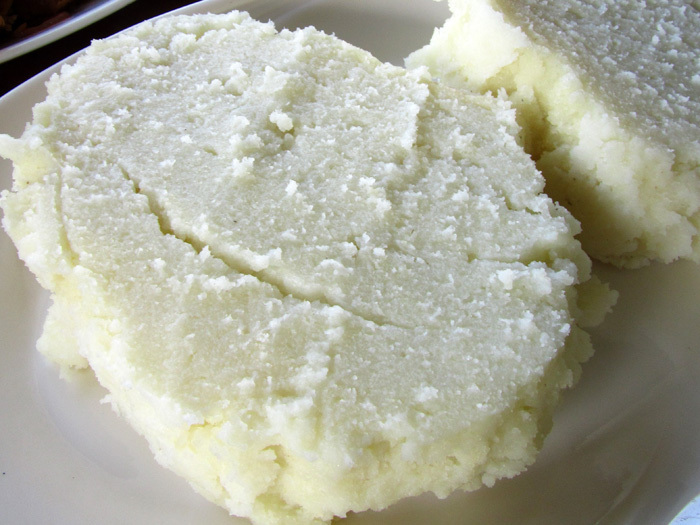 Ugali has the consistency of a grainy dough and the heaviness of a brick. For many Kenyans, ugali along with a small amount of cooked vegetables or saucy stew is a normal meal. Irio is one of the most famous dishes in Kenya, a food that originated as a Kikuyu staple and spread throughout the country. Green peas and potatoes are boiled and then mashed up before whole kernels of maize (corn) are added to give the mash some extra starch and texture. This hearty and heavy Kenyan food is famous to eat with roasted nyama choma meat (nyama na irio) or just some Kenyan style stew. It’s not too complicated, a Kenyan dish that consists of boiled beans, corn kernels, and possibly mixed in with a little bit of vegetables. The combination of Githeri is a filling, highly nutritious, and can be quite good when complimented with salt, pepper, chilies, and even a chapati! Pilau is a glorified combination of rice cooked with flavor bursting spices like cumin, cardamon, cinnamon, and cloves. The fragrant rice is fantastic to eat with a form of meat stew and a few slices of fresh tomato and onions. 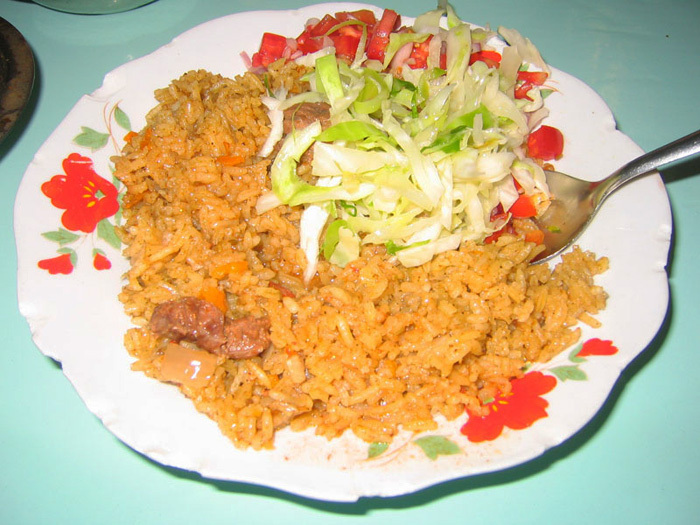 Biriyani is another form of spiced rice that is a popular Kenyan food on the coast. Even though it’s in Tanzania, I’ve enjoyed some of the best pilau and biryani I’ve ever eaten on the island of Zanzibar! Coconut rice is a popular Kenyan food mostly along the Indian Ocean coast. White rice is cooked with grated coconut meat to create a fragrant twist on plain boiled rice. Wali wa nazi is best enjoyed with a serving of fish or chicken curry, some vegetables, or even bean stew. 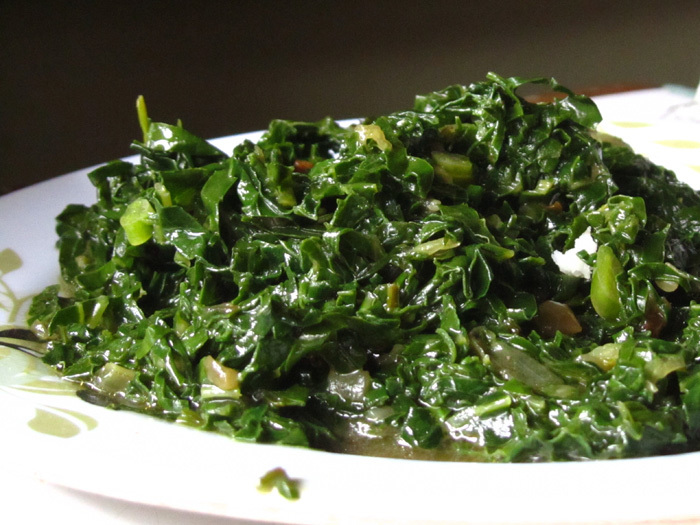 One of the most popular vegetable Kenyan dishes is sukuma wiki (known as collard greens or a form of kale in English). The nutritious green leafy vegetable is often cooked in oil with a few diced tomatoes, onions, and flavored with a sprinkle of mchuzi mix (Kenyan food secret flavoring salt – MSG) or stock cube flavoring. Kenyan stew can include a number of different meats: beef stew, goat stew, chicken stew or any other animal stew. Kenyan stew dishes might also include a few other base vegetable ingredients such as carrots, peppers, peas, or potatoes. The sauce is usually formed from a light tomato base and accented with onion, salt and pepper, and that essential mchuzi mix! Any Kenyan food list is not complete without a mention of nyama choma, also known as roasted meat. Goat and beef are the 2 most common forms of nyama choma, but chicken (kuku choma) and fish (samaki choma) are also valid choices. Fat and the grizzle from the meat is the choice part of the animal, and is often consumed with a quick dip into a pile of salt for extra flavoring! It’s also possible at many places to get the “fry,” – the fried meat variation. 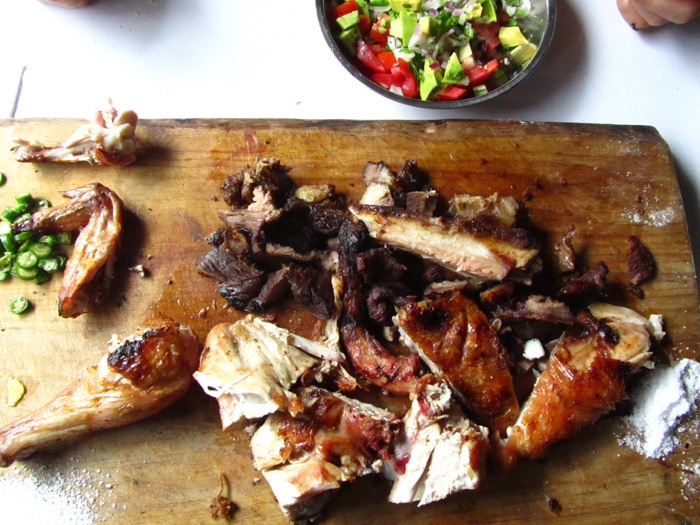 Find the best places to eat nyama choma in Nairobi right here. Matoke is originally a dish from Uganda, though it is widely available and popular in Kenya as well. Plantain bananas are cooked up in a pot with some oil, tomatoes, onions, garlic, chilies, meat (optional), and lemon juice. The bananas are cooked until they become soft and begin to form a thick sauce with the other ingredients. The result is a delicious dish that is reminiscent of boiled potatoes in sauce and excellent to eat with rice, ugali, or a chapati. Chapatis in Kenya can trace their origin from the influence of the Indian population. Kenyan style chapatis are made with a flour dough that is wound into a coil before being rolled into a flat round circle. The dough is then fried on a skillet accompanied by plenty of oil so it becomes crispy on the edges but remains moist and doughy on the interior. 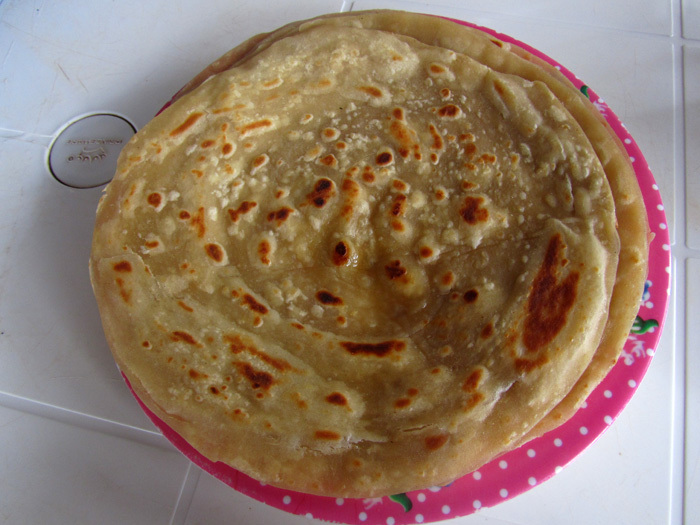 Chapatis can be considered more of a special form of Kenyan food, a treat to eat. Chapatis go well with fried cabbage, beans, or even just rolled up with a cup of tea! The simple formula of diced tomatoes, onions, chili peppers, cilantro, and sometimes avocado, is a natural power combination of vegetables that cultures all the way from Mexico to Kenya have discovered. 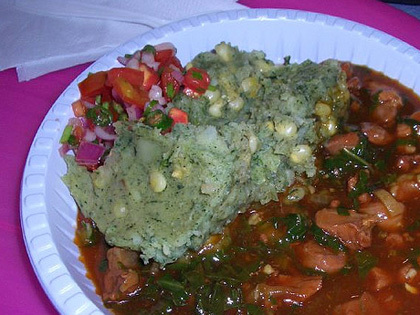 Kenyans enjoy kachumbari as a garnish, a side salad that accompanies things like nyama choma or beans. There are multiple forms of what is commonly known as bajias. The Kenyan variety (sort of borrowed from India) is normally what can be described as glorious spruced-up plate of awesome french fries (chips). Potatoes are sliced up and battered with seasoning, deep fried, and served with a Kenyan tomato salsa that is worth boasting about. The dish starts with a greasy plate of freshly deep fried french fries (chips). Tomato sauce, chili sauce, herbs, cilantro, and whatever else the chef decides are all added to the fries, coating them in a luscious sauce that will have you licking your fingers and the plate! 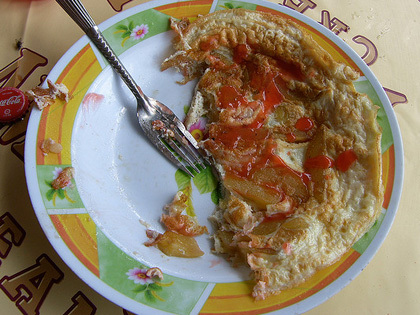 Chips mayai can be described as a French fry Kenyan omelet. It all begins with a plate of famous Kenyan chips that are placed in a frying pan before being covered in a generous amount of beaten egg and cooked through. Lather it up with a generous portion of chili tomato sauce and it’s a snack that will provide calories of energy for a few days! 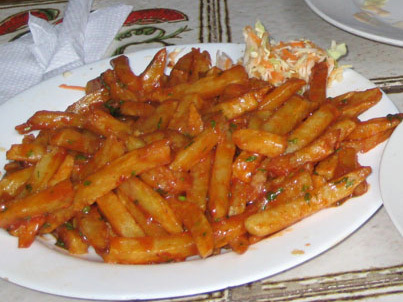 Chips mayai is a one of the Kenyan dishes that is also popular in Tanzania. They can be smelled from a kilometer down the street, that lovely familiar scent of a blob of deep frying dough. The smell is enough to entice anyone to make a mandatory mandazi stop. 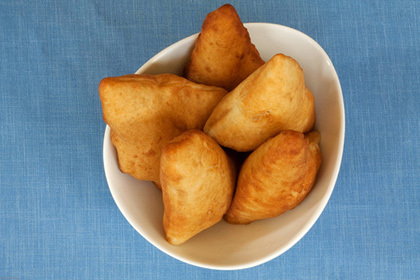 Mandazi’s make a great snack or a light breakfast with a cup of sweet chai. 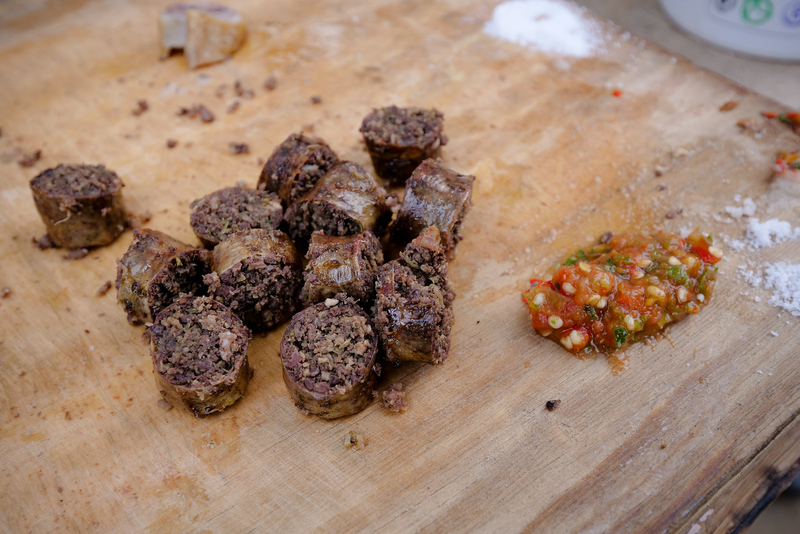 Mutura is the real Kenyan sausage, a protein rich meaty snack that could be the envy of every beer drinker. Goat intestine wrappers are stuffed full of the alluring combination of ground meat parts and goat blood. The sausage is boiled until it is almost cooked through and then thrown on the grill to dehydrate the meat and give it that sensational smoky taste. If you are searching for that truly authentic Kenyan food street meat experience, mutura will go above and beyond your expectation! Though it’s not a traditional Kenyan food staple, there’s something about the burgers in Kenya that have the power to make one smile with happiness. Some restaurants choose to grill their burgers while others choose to deep fry their burgers, adding that extra grease to the meat for super calorie deliciousness. 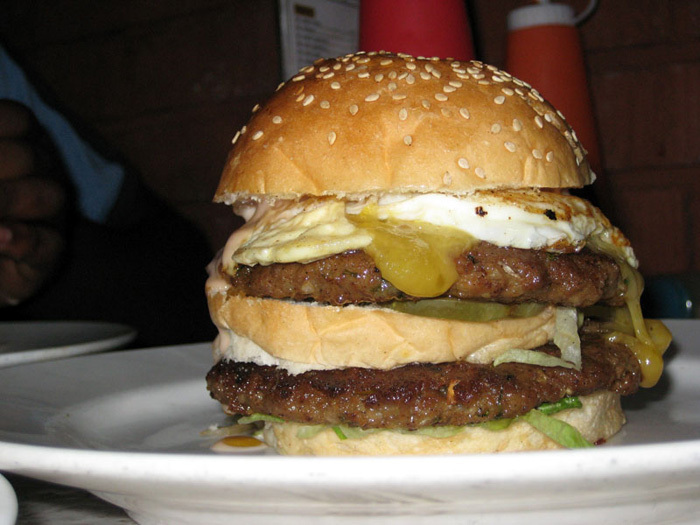 This particular burger from Burger Hut Nairobi is the double hut, a burger that’s so mouthwatering it could spark a world burger pilgrimage (if it was a little more famous). 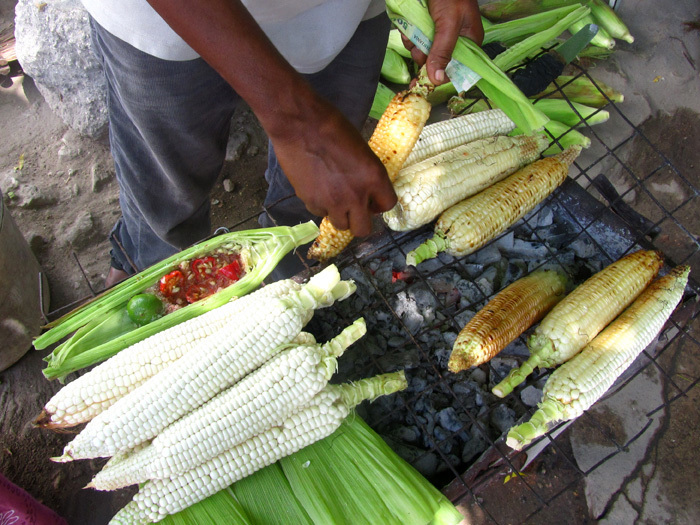 One of the most popular on-the-go snacks in Kenya is a cob of roasted maize. The corn is picked when it has become mature, so it’s a dry starch that is perfect for roasting over hot embers. As the maize roasts, some kernels pop like popcorn while others blacken to a crunchy crisp. Some street stall vendors will supply a chili lime salt garnish for the grilled maize. 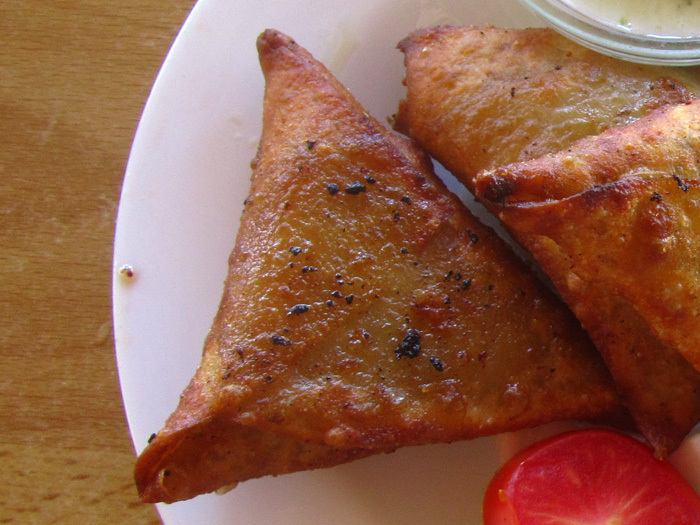 Another Indian snack turned Kenyan food are samosas – small triangular pockets of spiced meat or vegetables put in a pastry wrapper and deep fried to a golden brown. Squeeze a sprinkle of lime juice on a samosa for ultimate enjoyment. These golden snacks are available everywhere from sit down restaurants to Nairobi street food pushcarts. Kenyan coffee is one of the more famous varieties on earth, yet it is tea that is the popular hot drink of choice for many locals. Kenyan tea is brewed dark, mixed with plenty of whole fat milk, and sweetened up with a few heaping tablespoons of sugar. As for myself, give me a kilo of mubuzi choma sliced from the hind leg, a side of kachumbari, and a warm Tusker or bottle of Stoney Tangawizi and I’m a very, very happy man. What’s your favorite Kenyan food? 237 comments. I'd love to hear from you! Nice list Mark 🙂 I personally love Ugali so much with Maragwe (swahili word meaning beans) then Sukuma of course. i’m heading to Kenya for the first time and i have no idea what to expect! I am a massive food fan and i hope i don’t end up being disappointed. I will e there for two years so i will have to learn how to ‘live like a local’. Any tips would be graciously received. You’re welcome to use ‘Kulanini’; an online guide on what to eat and where to eat. Find it on kulanini.org or on Facebook, Instagram and Twitter (@kulanini).There are detailed reviews on various foods, snacks and restaurants here in Kenya (especially Nairobi). Kulanini translates to ‘what to eat’ in Swahili. Karibu Kenya. I like the food you guys have???????????????????????????????????????????????????????????????????????????????????????????????????????????????????????????????????????????????????????????????????????????????????????????????????????????????????????????????????????????????????????????????????????????????????????????????????????????????????????????????????????????????????????????????????????????????????????????????????????????????????????????????????????????????????????????????????????????????????? I would say Kenya has very nice Ugali compared to the rest of the countries. You must have enjoyed your trip there huh? Great article but just some additional comments. Chips Mayai is definitely not a Kenyan staple. It’s a Tanzanian one, available at pretty much any street food stall or local restaurant. I have lived in Tanzania for a while now, and every Kenyan who I’ve met has said it’s not a common meal there or they’ve never had it before. I’m also amused you were “surprised” the best pilau you’ve ever had was in Zanzibar, because pilau is also a staple there as well never missed at any party/get-together, and is a common Sunday lunch meal. I guess I’m biased, but a lot of Kenyan and Tanzanian food gets considered Kenyan when they are actually more common in Tanzania, so just wanted to point that out! I always felt there was something Kenyan about you. Anyway we have pathetic foods, can you do a Nigerian food video? Hey Mark, How was your experience eating Ugali for the first time in Kenya? You do realize that “nyama choma” means roasted meat. So when you say nyama choma meat, you are saying roasted meat meat. Also, this site says that it is Kenyan food. Burgers are not Kenyan. 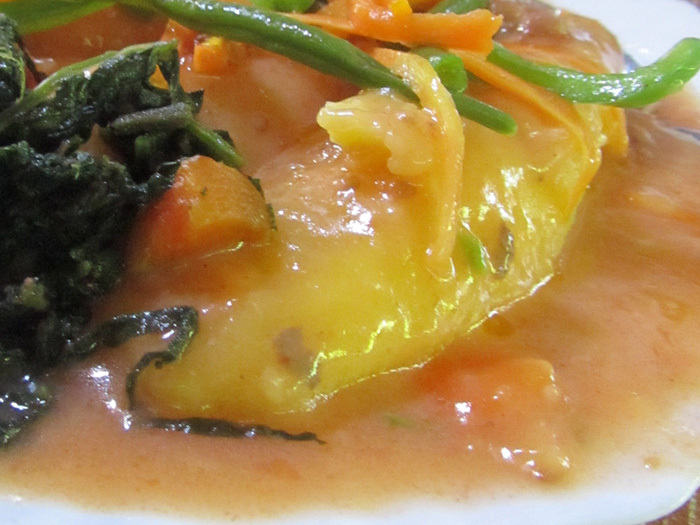 Now, Ugali, chicken soup and sukuma wiki is definitely a dish every Kenyan will identify with. Accurate information, makes me wanna eat right now. thank you! really i would like to eat ugali, it is salivative when i see it. Awesome to hear that Shantanu, hope you have a great transition! You are welcome to Nairobi Kenya. Just got back from 5 weeks in Nairobi/Maasailand. You’ll love the food in Nairobi. Thank you very much for reading Esther! This is great! My sister is learning about maraco and I have to learn about Kenya???? Im hungry already. Good presentation of our Kenyans foods there. Kenyan food are lip smacking, great and delicious. Im going to kenya in june, I’m really looking forward to trying the local cuisine. Sounds simple, but looks delicious. Just got back from 20 days in Kenya and Tanzania. I ate well and lost 8 lbs. You included all the dishes I loved. Thank you. Wow i love this..please i wud love to know where you are based? I have had all of the foods listed here and you are so right. Upon my return to America, I continue to make them. How are you? Thank you for excellent post. I love Kenyan Burger & Samosas very much. you can more food &culture in site. A nice piece there…I love this as a chef am proud to see you liking our cuisine. Hi Chef Kalingu, great to hear from you, thank you for reading. Great suggestions as well! Hey Sheliza, awesome to hear from you, thank you for sharing. Hi Eric, I would like to request if you could please send me the ingredients of a Kenyan food which is easy to cook so I can cook it for my son’s school project which is due next week. It would be much appreciated if you help me with this. Thank you and looking forward to your reply soon. Sorry Mark, I mistyped your name, not sure where i got the Eric from. I Jst love ugali with irio and sukuma wiki???????????????????? if you have never been to Kenya you are highly welcomed. come, see, touch and eat any time of food you like in Kenya. it would be cool if you could give me some easy ingredeints for my sons project all about kenya. Your comment:the list comprises of amazing dishes. lol would love to sea bandix on the list .extremely lovely. This Kenyan dishes can find a place in the world. Isn’t a lot of this food authentic Indian food which became popular in Kenya due to their large population there? Chapatti, pulao, chai, samosa, marsala chips, banjo etc are Indian. the food is amazing. 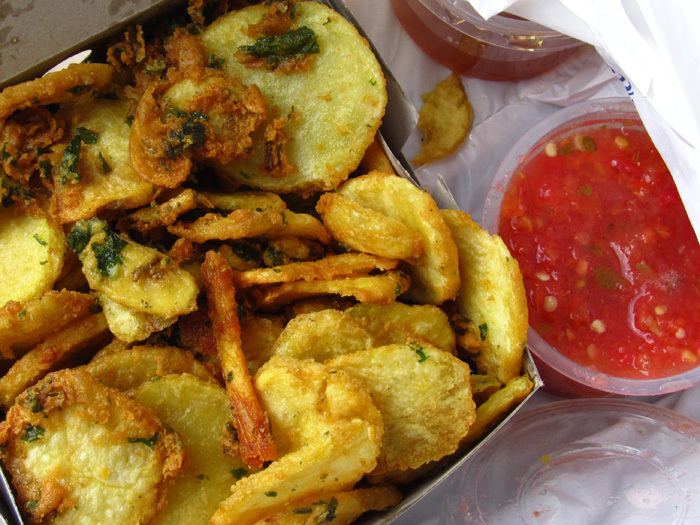 I love irio, matoke, mutura and masala chips. the chips mayai is new to me am eager to try it. Thank you Mary, that sounds delicious! Your comment:I am really greatful to visit this site, I have really learnt a lot from you guys about the food that are cooked in Kenya some of which I normally interact with.Some food like wali wa mnazi I think I need to taste them when I will be visiting the coast next month. Hey Collins, thank you very much, great to hear you’ll be visiting the coast soon. Loved your take on our kenyan dishes….excited too that you enjoyed the food! Great idea. But some photos are poorly done. One includes a half eaten meal, and so not too delectable. Love this page. I have a new daughter-in-law from Kenya. She will live here in America and can hopefully take my son to Nairobi to meet her family. But she has cooked a few Kenyan foods and our family has loved them. Such a mix of cultures happening now. Love it! Thanks for this information about our indigenous food recipes in Kenya. Hey Mikes, you’re welcome, thank you for reading! Hi, maybe you can help me find a Kenyan recipe I lost! 25 years a go I found a recipe for my son to use in his project that featured Kenya. I found it online, made it once and never found the recipe again…anywhere…. It was a crock pot stew like affair that maybe included chicken. But it was the sauce that was so new to me! At the time, I had not tasted curry, but now I think it might have been a coconut type of curry~ Here are some of the ingredients I do remember: Coconu t milk, cardamon, maybe cumin?, Anyway, now I see how dismal this might be…if you have a recipe for some type of coconut curry, please send me your link. Thank you very much Suzzy, really appreciate it! Bonjour,nous une societe marocain revendeur divers produit ,fruit,legum,huil argan,sauce tomat,conserves…. Top 20 indeed. really great! I even want some MUTURA right away! What a good food indeed with all it comprise. My visiting to KENYA I will make sure I taste half of d food before departure especially Irio,spice rice and chapati. Thanks for the details of your research. Thank you very much for reading Tunde! What a good food indeed with all it comprise. My visiting to KENYA I will make sure I taste half of d food before departure. Thanks for the details of your research. Glad you love Kenyan food Mary! Nice. Is there a book? Hey Mwaura, no not yet. Your comment:I love it. can you call me you teach me. Hey Jamie, glad you enjoy visiting Kenya and that you love nyama choma too. Do you know how the sweet peas were prepared or served, or do you happen to have a photo? Cool! Really mouthwatering just looking at the pictures and missing my country!! Thank you Caroline, Kenya has some great food! One of my best friends is from Honduras, and my new daughter-in-law, is from Kenya. A lot of basic dishes are very similar! Hey Sandy, great to hear from you, I’d love to try some dishes from Honduras as well. Thank you thank you thank you. I am a Kenyan living in US and my mouth just watered just looking at the pictures. I was looking for something to cook for some American friends coming to visit me. This is nice. The pictures are great. I know what to cook now. I couldn’t decide but the pictures gave me an answer. Hey Njoki, great to hear from you, glad this post about Kenyan food has given you some ideas about what to cook. Hope you have fun and enjoy! we cant forget Omena little fish also called Kisumu boys i made fish croquette with them and they turned out fine, okra (murenda cooked with dried mushroom and milk) from the western side very satisfying with Ugali. and the Rumba music as it plays when you are eating that Nyam Chom in a restaurant. and you start to shaky leggy. Hey Mtotoo, thank you for sharing the dish, that sounds delicious. Hah! ohh yes Murenda is very good especially on rainy season, you will keep going till nothing is left on your plate. at home we mix with dry onion leaves n fresh garlic.. I am in UAE and the Mediterranean cuisine is really good to. original meals with very simple recipes. 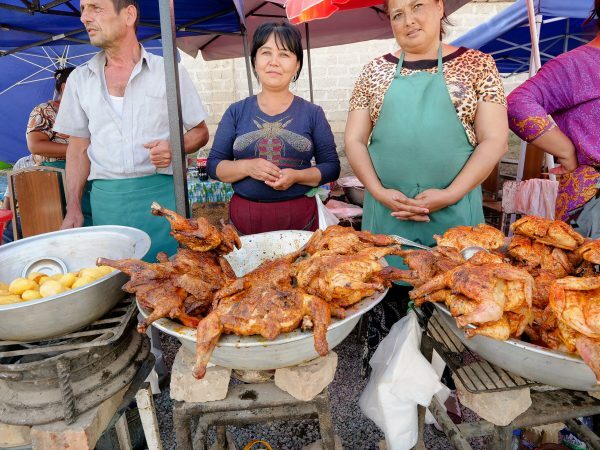 here in UAE there is an amazing meal they roast a whole camel stuffed with a whole lamp, like 15 whole chicken, fish, eggs. That’s amazing, would love to try it, thanks for sharing! Hey Mtotoo, thank you very much for sharing, that sounds great with dry onion leaves and garlic. Hey do you know how many servings the Githeri makes? I need to know in the next 30 min. Absolutely fantastic, you forgot viazi karai with the ukwaju (tamarind) sauce, different varieties of fish, kuku kienyeji. Thank you for the added input Christine. I’m a Kenyan, and your list of foods is very good. It makes me miss Kenya so much! Thank you for posting this! You’re welcome, thank you for reading this article! I love your website! I am a newer blogger. I explore the world one suitcase at a time to teach kids & parents about world geography & culture. I am coming up on Kenya & found your blog while looking for recipes! So glad I found you! Hi Laura, great to hear from you, thank you for reading, and glad that you’re blogging as well. Great blog, keep it up. Awesome list !! As a Kenyan who’s been out of the country for the better part of the last seven years, I have to say that I’ve missed most of the dishes on the list. Good job Mark for this great article. I am pure vegetarian indian. I will be in mombasa shortly for more than a year. Will I get there pure vegetarian dishes or will I get veg raw-materials so that I can cook something for me? How is food there? Cheaper, reasonable or costly? kaushik yeah ..i promise you will enjoy alot infact Kenyans we are vegetarian …the food is cheap and affordable …you are much welcome. Hi Kaushik, thank you for reading, good to hear you’ll be moving to Mombasa soon. I honestly don’t have much experience in Mombasa, it’s been a very long time since I’ve been there. Food is great, with a mixture of local, Middle Eastern, and Indian dishes available, and prices are affordable – though maybe not as cheap as in India. All the best. Ahhh I love all this food and miss it all massivley. Kenya sure does have some great food. Nyama Choma is a fav with sukuma and chapati! Thank you Kaili, glad to hear you love Kenyan food too! Great blog. I have spent the last few hours reading about your food adventures (though I initially came here to learn more about living in Bangkok :). I love food and I love Kenyan food a lot, especially Ugali taken with spicy beef stew and kale. 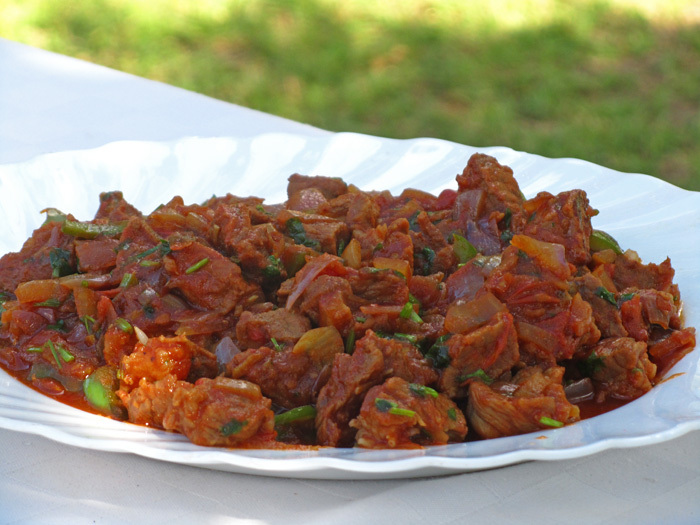 Your pictures are tantalizing to say the least….I long for a spicy mutura right now. Thank you Mark. Hello Naomi, thank you very much for reading my blog, and for your kind comment. Are you originally from Kenya? Now moving to Bangkok? i like this i wish i could pass mukimo to those who love it….but you left out njahi (smashed matoke with njahi ) and meat …they are so sweet..
Hey Annah, thank you for sharing, and for the extra input. Will have to update this list with more dishes. Ahhhh, Chapatti, Niama Choma, where are the wonderful Kenyan sausages? the best in the world. haha, how about Mukati with blueband for breakfast? huh, the poor man’s food. I loved Ugali and Matoke. No one makes them in the US. Where African food goes its all Ethiopian here in the west coast of Americano. Tusker Moto. Haha, good to hear from you Mzee Kidefu, glad you love all these wonderful Kenyan foods as well. I’ll take a Tusker moto too! Thanks for this positive description of kenyan food. iam m always amazed when westerners (see Debbie here) appproach african foods expecting to be underwhelmed. We love our food despite lifetimes of negative stereotypes. Hey Gathoni, you’re welcome, thank you for reading. I’m a huge fan of Kenyan food! You forgot the Tilapia from Lake Victoria either dry fried or with a variety of sauces including coconut or tomato with traditional herbs! I love the nyamachoma in Kenya. having lived and grown there, I must say our food is esquisite! i do love Ugandan matoke and Tanzanian dishes too especially the kitumbua. but KENYA is unique in its own way. UGALI+mbuzichoma+beer=AWESOME!!!!! Hey Shay, great to hear from you, glad you love these awesome dishes too! Not gonna lie, I find Kenyan and East African food in general to be EXTREMELY insipid. Any time grilled maize shows up on a top 20 list, you know you’re really stretching. Also never met any mzungu with a favorable opinion of ugali. Tasteless fluff. Difficult to handle when burning hot and fills you up way too quickly (which I guess is the point). The dishes from the Coast are more flavorful though. It seems the spices only made it that far inland. 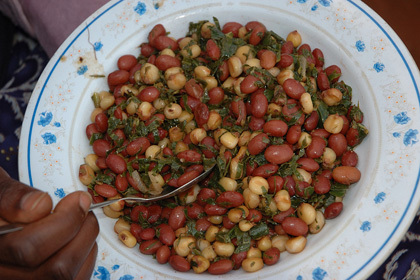 I live in a small town in Western Kenya and all I have for lunch everyday is boiled beans and sukuma with rice or chapo, which I douse in pili pili to add flavor. My Kenyan friends think I’m crazy. Anything fancier than beans and sukuma takes at least 2 hours to prepare. On the rare occasions that I do have meat, it’s usually stringy, hence I always insist on dry fry instead of stew or choma. 1) Mashed-up matoke. It looks and tastes like mashed potatoes. Just yellower. 2) Fried tilapia from Lake Victoria. 4) Brown chapati. Also, brown ugali >>>>> white ugali but that’s not saying much. 6) Rolex. Technically, this is Ugandan. But then I feel chips mayai is more Tz than Kenyan. I had chips mayai almost daily when I lived in Tz. I’ve only seen chips mayai once in the 2 years I’ve been in Kenya. Where do you get it from? Anyways, chapo + nutella + banana = WIN. Or chapo + avocado + chips + vegetables. Kenya really must get more creative with their chapos. Hey, ok if you’re coming from Malaysia, one of the best countries in the world for food, East African food is definitely plain and more of a filling cuisine. I do like ugali (not better than rice), but I grew up eating it quite a bit. Yes, coast dishes are great, and the curries and seafood can be really nice. I’m in Zanzibar now and have had some great food so far. I’ve never had a Rolex, I’ll have to look for that! Thank you for this! My husband is from Kenya and his siblings are coming in to surprise him for his 40th birthday. I will definitely be making some of these dishes! I know samosas originates in India, but our family loves them and could eat them everyday! Great to hear that Erica, hope you have a wonderful birthday party with great Kenyan food! Na Mbazi Je? Ina kwenda vizuri sana pamoja na mandazi!!! You have certainly covered lots of the Kenyan favourites but i also recall some dishes that mom used to whip… probably for a quick meal to feed fussy kids! We still enjoy these dishes to date! Maziwa mala (sweetened natural yoghurt) with ugali, matumbo with ugali or mashed matoke and fried rice – Kenyan style ( usually rice cooked together with vegies, brought to a boil and cooked till all the water is evaporated)…I guess all the foods are all so yummy and the list would be endless. Hey Jacque, glad you enjoyed it, thanks for taking a look! Yes, I’m a big fan of the Kenyan yoghurt as well. Indeed so many good tasting things! I am so proud to be Kenyan!! !Just wanted to refresh my mind on Kenyan dishes.All be making them soon!!! Hey Benta, Kenya is an incredible nation, with lots of great food! Enjoy the cooking! I am from Kenya and my favorite is Nyama Choma it is Soooo good. If you ever go to Kenya you have to bring this list and go for all that food. Just looking at it makes me hungry i’m going to eat some Samosas. Hey Caleb, thank you for reading and leaving a comment, and great to hear you also love nyama choma! chapati with anything does it for me! Hey Gitts, thanks for sharing. Will have to check out that burger you mentioned if I make it to Nanyuki! Hey Winnie, great to hear you love nyama choma too! Hi Mark, Good to hear you like Kenyan food and mostly the mbuzi choma, next time you happen to be in Kenya, come for one goat free from my farm, God bless you. Hey Maria, amazing, thank you very very much, I will have to take you up on your offer in the future! Thank you again! I love our kenyan foods and yeah Mark I love the way you even know the swahili and you really make my day when I look at all the places you’ve been. Good work brother.! !God Bless you. my best food is Porini chicken and sima. next time you should come to boko boko farm in porini in mombasa about 25km from the town, place called Kikambala. and you will Enjoy our food. Asante Jecinter! I appreciate the support and also for the recommendation for Mombasa food. I’m in Thailand right now, and trying to locate some mbuzi choma! it’s 2 in the morning and this post made me so hungry. i know india and kenya shared trades in the last centuries, but I was actually surprised to see a lot of indian influence in the cuisine even u to now. now im excited to go to nairobi! Thanks Christy! Maize on the streets of Nairobi makes for a great filling snack! wa… markus, i had even forgooten about roast maize..mahindi choma! u guy have to update and show how we use the sliced lemon to dip it into chili powder and apply gently on the maize! You guy, the mahindi choma bwana and that chili salt is the best guy! That coconut rice sounds pretty delicious! Yah, it’s real good with a bit of stew! Wow, that burger is out of control! I have to say my tastebuds probably aren’t Kenyan, although the stew looks delicious and a few other things sound good – the tea, definitely. Nice post. Loved the photos! I didn’t know anything about Kenyan food before. But I can tell you I definitely wouldn’t starve in that country. It all looks delicious! Great! Even though a lot of the food is meant to be very filling, some Kenyan dishes are really tasty! My God this brings back some memories – matoke was a favourite of mine. You left maharagwe out!!!! There’s nothing like some Kenyan comfort food. Right about the maharagwe Robin, that’s a good one I should have included! I know if I stick with you, Mark, I will never starve, no matter where in the world I am! Thanks – I try to really enjoy food everywhere I go! There is nothing better then a cup of chai! However, the chai I had while I was in Kenya was different from the recipe you stated. The chai I drank had cinnamon, cardamom, and maybe even some black pepper. It was so tasty. Great list. There are many items on it that I haven’t tried! Sounds like what you are describing is masala chai. It’s the same tea and milk mixed with a spice masala blend. The extra spice (instead of just sweet) is really good – I agree with you! You missed the cabbage dishes.. Potatoes.. Of you do get some pls post. Thank you kindly. All of these dishes sound really interesting. I especially like the Plantain Banana Stew. Back when I lived in Kenya, the plantain stew was one of my favorite dishes! I am drooling. It all looks delicious and I just love trying new foods! Awesome Dean, I’m with you and trying new foods – one of my all-time favorite things to do! I don’t know why but I was expecting to not really be interested in many of the foods on your list. Surprisingly almost all looked great! I love polenta and cornbread but the Ugali seems a bit dry. Both french fry dishes sound amazing. Great list, thanks for sharing. Great Debbie, glad you enjoyed it! You are right about ugali, it is a bit dry, but it does go will with soupy stew and vegetables. The main thing about it that it is very filling! You are right Mark Ugali is very filling but I loved. 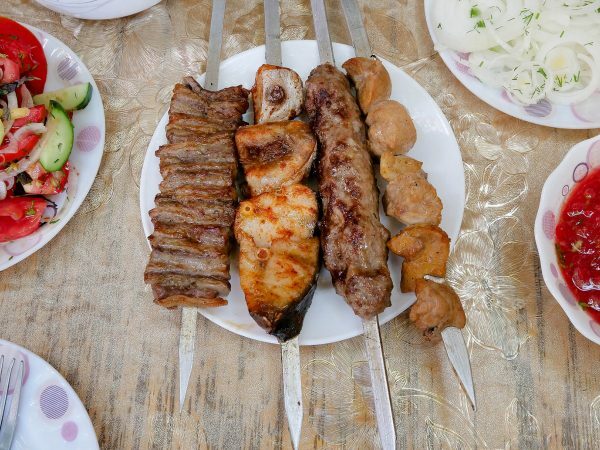 I was in 1990 for nearly a year in Kenya and travelled around but the food is just stunning if like the way they cooked.And especially when you are in the Rural areas.When you go to the Shebines and eat that lovley freshly grilled meat with a Taska Beer. That flavor of roasted goat and kachumbari combined with Kenyan beer is one of the greatest! Thx for posting this Mr.Wiens it really helped with my project now I can’t wait to make the masala chips! Cool Eric, glad to help! Mark, those are great foods, Ugali may be dry but it goes so well with Sukuma or meat-stwe or the roasted meat with kachumbari ,,,u know they ryme, i miss roasted maize and they are everywhere on kenya roads as well as roasted Fish, ever came across that? Hey Elizabeth, thank you so much for checking this article out and for the comment. I agree, ugali goes so well with meat and stew and sukuma! I haven’t seen fish too often in Nairobi, but really enjoy roasted fish on the coast. I miss maize too! Are you living in Nairobi now? Hey Dorine, ok, great to hear that, I love fish! Are you sure that chapati, mandazi, pilau, chips mayai (zege), kachumbari and wali wa nazi are Kenyan authentic dishes? 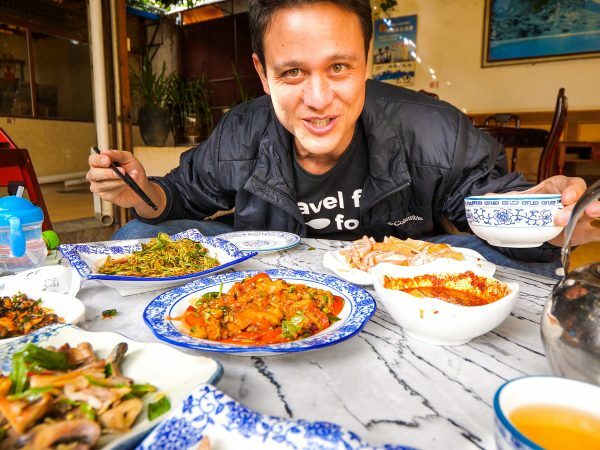 Those are Tanzanian dishes Mr Mark Wiens. It just so happens that Tanzanians do not advertise their culture and food so much. and that Matooke you just mentioned belongs to Uganda dear. Make your facts straight next time. Kila la kheri. helena the fact is there, they are Kenyan foods it’s just because there are coincidence of cultures in this world. ..find more information about Kenyan foods. Tens of thousands of Indians ended up in East Africa more than a century ago, as traders, and to work for the Kenya-Uganda railway. Their foods—chapati, pilau, kachumbri, samosa—became local staples in Tanzania, Kenya, Uganda, South Africa, etc. you just said it right samir we adopted that from Indians long time ago. Am just laughing at you. It’s like saying the Maasai, Waswahili, Waisilamu, the wild-beasts migration belong to Tanzania. Update your Geography. Next time you will say the moon belongs to you haha! Kenyan swahili ppl are more famous than Tanzanian’s.Let Tanzania continue to sleep.